Now that the summer is coming to a close, we have plenty of exciting updates to announce for AdWork Media! 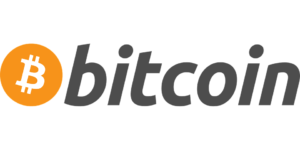 For starters, we now offer Bitcoin payments for publisher payouts in addition to 7 other payment methods! Publishers can log in to the AWM Dashboard and update their payment details with their Bitcoin address. The AdWork Media team also recently traveled to Affiliate Summit East in New York City. This event was a major success and AWM has acquired hundreds of fresh top performing offers from new partners and advertisers. We are committed to providing the best payouts and campaign selections for our publishers and we have many new deals in the works now which should continue to uphold that tradition. Please also welcome our newest team member, Mike S. Many of you have already interacted with him through Skype, forums, and support tickets. He’s a great asset to AWM and has personally helped many publishers with their traffic sources and promotion methods. If you have any questions or need any support, feel free to submit a support ticket or reach out on Skype to your account manager.